This high-quality cap is designed for today, but with a view towards the future. This is a structured six-panel cap made of comfortable and durable chino twill. It comes one size fits all and can be adjusted with a touch strap situated at the back. Unlike other chino caps, this chino cap features both a low profile and a high-tech mesh, which improves the durability of the cap while also improving airflow to the scalp. These comfortable and durable caps are great for indoor and outdoor wear. Best of all, they can be customised for your organisation by the addition of a logo or other branded artwork on the front or sides of the cap. 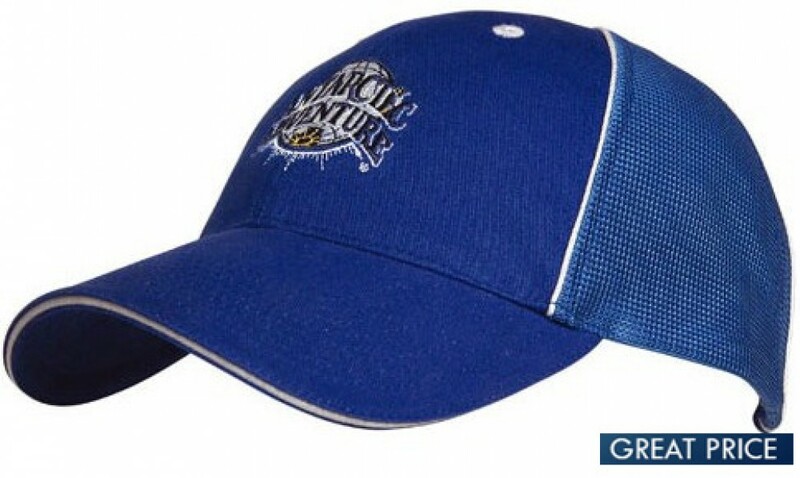 This cap can be used to promote your branding whether you are a clubs, sports teams or youth clubs. All products include 8000 embroidery stitches as standard. Other branding options also available. For custom branding, your artwork for the cap has to be supplied in eps, pdf or high-resolution jpeg. The price excludes Goods and Service Tax. These great promotional caps are stocked in Australia and custom branded for you locally to enable a fast one week production time. Delivery is additional and we can advise you the fastest delivery times. Call us today for details. We stock our caps in Australia and print them locally for a fast two-week turnaround -- less if you request a rush order. Our experienced freight operators will deliver your customised caps right to your door. We deliver anywhere in Australia -- NSW, VIC, QLD, ACT, SA, TAS, WA, NT. We deliver to all areas. We are not able to deliver outside of Australia.